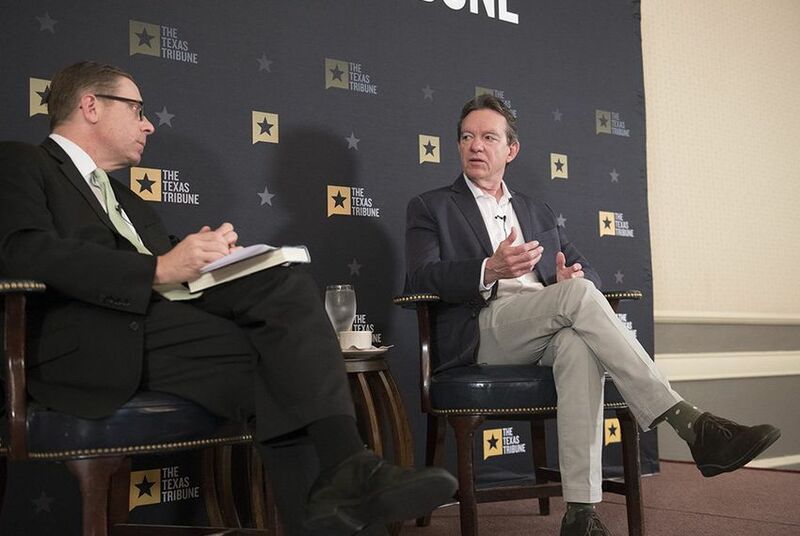 Cahnman's Musings: [Liberal New Yorker Reporter] Lawrence Wright calls Hispanic Texans "Poor" and "Poorly Educated"
[Liberal New Yorker Reporter] Lawrence Wright calls Hispanic Texans "Poor" and "Poorly Educated"
"Speak no more presumptuously: let not arrogancy come out of your mouth: for the Lord is a God of knowledge, and by him enterprises are established." Lawerence Wright is an Austin-based writer for the New Yorker Magazine. Last summer, he wrote an embarrassingly bad article about the Texas legislature. He's now written a book expanding on that 2017 article. Who doesn't vote?!? It's the young, the poor, and the poorly educated. And there are a lot of Hispanics in that category. Well, isn't THAT quite the broad generalization: "You'd behave EXACTLY the way we want you to if you weren't so poor and stupid." This despite the FACT that, in terms of both economic and educational attainment, Hispanic Texans outperform their peers in states where their voter turnout numbers are higher. Imagine if a Republican had said that. The irony, of course, is that Wright's first statement about Hispanic voter turnout being lower because their population is younger is basically accurate. But Wright couldn't leave it at "young." He had to take it to "poor" and "poorly educated." Bottom Line: If you want to know why the "Hispanic voting surge" that Texas Democrats have been banking on for the past decade has yet to materialize, Lawrence Wright's comments this morning would be a good place to start.